I saw this post and laughed. Then I thought about it. I see Amish buggies all over the county. (It’s very rural) and they must get in accidents a lot. I’ve seen quite a few close calls by people going way too fast around them. The severity of an accident is a combination of the COMBINED speeds (and weights) of the vehicles. A car hitting a car has a lot of force, even with airbags and seat belts, roll bars, etc. A buggy hitting anything is going much slower and is much lighter… it rarely does much damage. 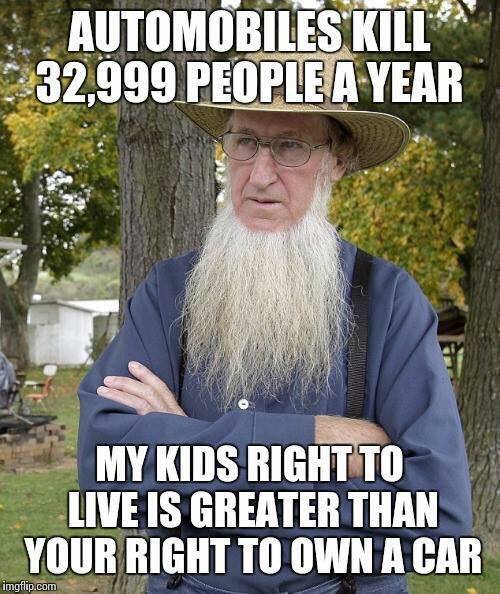 So maybe the Amish meme guy has a point. Would it save lives if we just all drove horse and buggies? Good for a look, right? There’s over 100 accidents listed. It’s not an official government site, so it’s not necessarily complete. Just whatever ones they could find in local newspapers around the country. 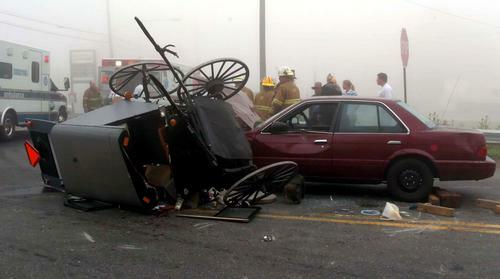 In those 100 accidents between a car and a buggy, 21 people died and 167 were injured. However, that is lower than the national average. And imagine how much lower it would be if BOTH were buggies? I couldn’t find any buggy on buggy injuries, let alone deaths. 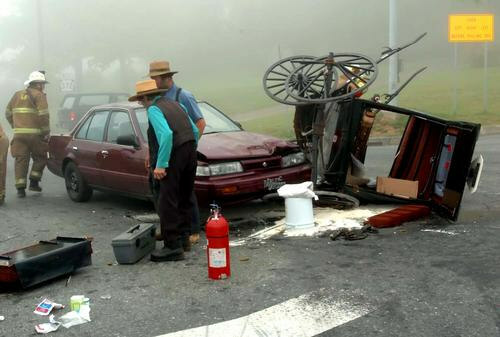 There were a couple out of control accidents of buggies where horses got spooked, but that’s about it. Every other accident (especially deaths) were from cars being involved, often at speeds over 55mph. Basic math tells me that if halving the force in the collisions halves the deaths… then taking the OTHER car out of the situation would then halve it again… right? So our 40,000 deaths on highways would then be only about 10,000. We’d save 30,000 lives a year! Right? Makes sense? And that’d be even lower than that if they weren’t actual buggies but more just slow, lightweight cars. 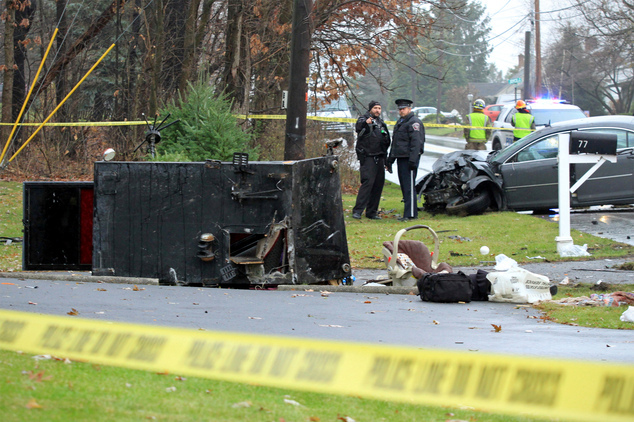 Many of the injuries in the buggies were because they weren’t wearing seatbelts. Lots of physical ejections. So go back to using golf cart-sized cars. Put in seat belts, air bags, rollover protection. A golf cart going horse speeds (under 20mph) and so lightweight they wouldn’t have much force behind them. 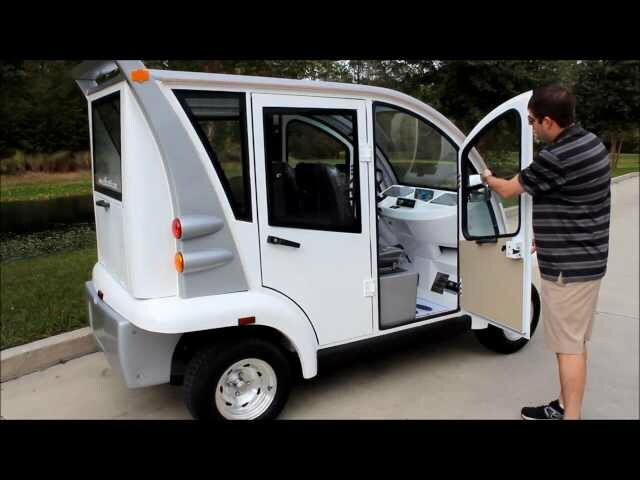 You can have all the amenities a car has…only smaller and slower! Very good for the environment. Electric often. Comfy ride. 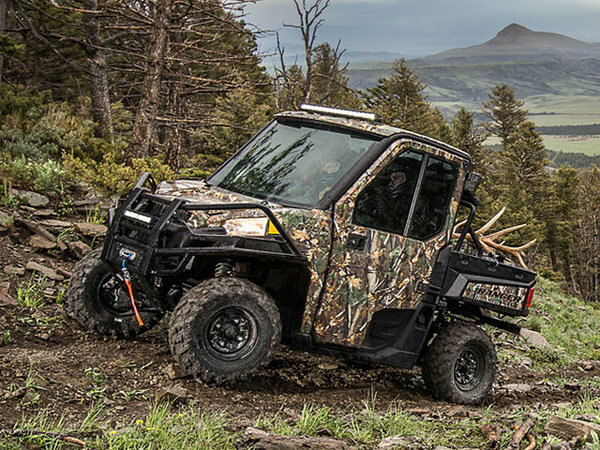 An ATV would work if you need off road work done. Those rangers are really nice. So all you need to do to save 30,000 lives a year is for everyone to take 4-5 times as long to get to work. After all, even if it CAN go faster, the whole point was that you WOULDN’T go any faster for safety. So the speed limits around the country will have to be lowered to around 15 mph. You’ll still get about 30 miles to the gallon (on road) and it might be cheaper than your current car. Electric cars even better! But the REAL benefit is all those lives you’ll save by not going fast enough to do much damage. And all you need to do is give up the freedom to buy the car you want and take several hours to get to work! But after all you don’t NEED a big dangerous slaughter-mobile do you? You can make do with less if it’s for the CHILDREN right? Although thinking about it, you’ll only be able to have a two-seater. 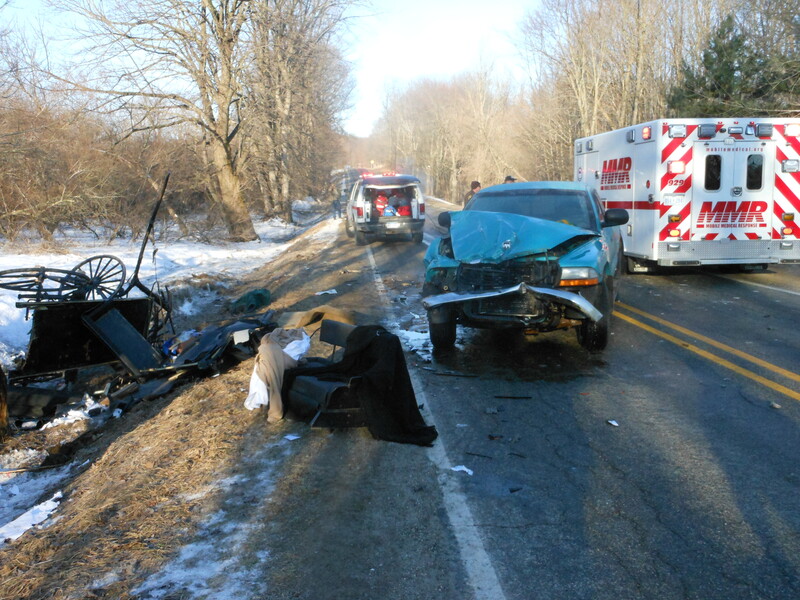 Many of the accidents were multiple passengers so it’s MUCH safer to have only two seats. Half as many seats, half as many victims! And you can’t drive at night. 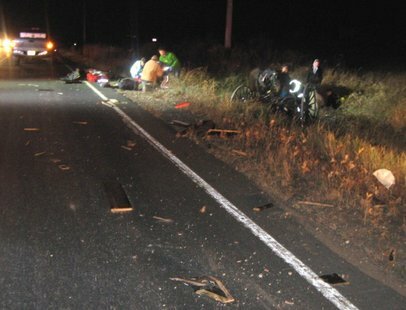 Many accidents were at night. Or in bad weather. That was also a big no no. So no night or fog or rain or snow or wind. But other than that… you can take hours to get to work on perfectly sunny days in tiny cramped golf carts that can only carry one passenger. That’s not really that big of a sacrifice is it? You don’t NEED to go to work on rainy days or have any kids right? You’re cool with driving an extra few hours a day right?